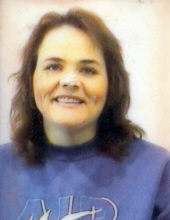 Sharon Rose Ward, 59, of Paragould, passed away Thursday, April 4, 2019 at St. Bernard's Medical Center in Jonesboro. She is the daughter of the late Altie and Alvie Stewart. Sharon was a member of New Covenant Worship Center where she enjoyed teaching children about the Bible and loving Jesus. She was also preceded in death by her brother, Eddie Stewart; and a sister, Margaret Stedman. She is survived by her husband of 44 years, Donald Ward, of the home; sons, Delmar "Lee" Ward II (Jasmine), of Lawton, Oklahoma, Timothy John Ward, of Paragould, and Donald "Donnie" Ward, Jr., of Lawton, Oklahoma; eleven grandchildren; three great grand children; sisters, Mary Ann Ryan (David), Virginia Barnhart (Dave), and Bertha Pieper (Jim); and brother, Dennis Stewart. Visitation will be Sunday night from 5:00-7:00 pm at Heath Funeral Home. Graveside service will be Monday beginning at 10:00 am at Linwood Cemetery with Rev. Larry Bulla officiating. To send flowers or a remembrance gift to the family of Sharon Rose Ward, please visit our Tribute Store. "Email Address" would like to share the life celebration of Sharon Rose Ward. Click on the "link" to go to share a favorite memory or leave a condolence message for the family.